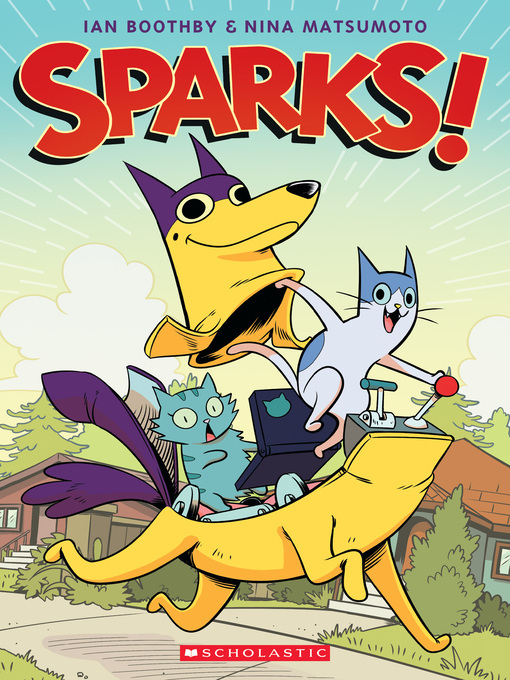 This Super Dog is the Cat's Meow!August is a brilliant inventor who is afraid of the outside. Charlie is a crack pilot who isn't afraid of anything. Together these pals save lives every day. They also happen to be cats who pilot a powerful, mechanical dog suit! Always eager to leap into danger, this feline duo have their work cut out for them as they try to thwart Princess, an evil alien bent on enslaving mankind. Don't let the fact that Princess looks like a cute, diaper-wearing baby fool you. She's clever, determined, and totally ruthless. So when Princess and the browbeaten fools she calls servants enact a brilliant and dastardly plan to conquer Earth, August and Charlie pull out all the stops to save the day.